Some of the pattern companies have started making new patterns from vintage called “Retro” patterns, which of course I have bought. The oldest pattern I have bought is from 1907. I was going to make vintage clothes in honor of Oklahoma’s 100th birthday. One day I will make the 1907 pattern. Thanks followers for sticking with this blog. I’m getting back to it and making changes. Soon I will post some of my sewing projects. 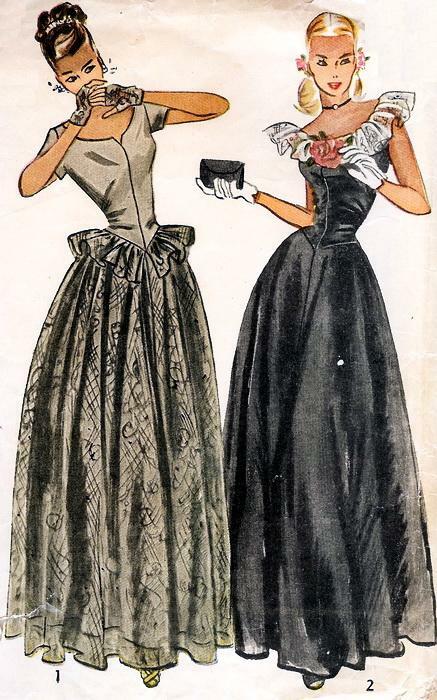 I could have got box after box after box of vintage patterns circa late 50's and Early 60's. It was at an auction and It was just too hot to stay in the sun. Questions: Are the patterns unused? And have you looked at flea markets? The ones I passed on becuz of the heat wear mostly dresses. Facebook me. You can't miss me. That way I can contact you if I find any good ones. most are used, but all the pieces are still there. I love the 40's and 50's but really all of them. Those are very elegant illustrations.